Mass murderer and domestic terrorist Stephen Paddock was what law enforcement has been fearing for years — a genuine lone-wolf terrorist, a man who was completely off the grid. I am bothered by the fact that he had so many weapons for a one-man operation. Why he fired for only ten minutes and then reportedly shot himself makes no sense to me. He had enough weapons and ammo to continue firing or engage law enforcement in a firefight for some time. He set up such elaborate measures and then kills himself? The police said he had planned to survive the attack and escape. I don’t know where he thought he was going to go. He checked in under his own name. He certainly wasn’t going to take the time to pack up all those guns, ammo and magazines. Very puzzling. I call him a terrorist because that is exactly what he was under Nevada law. Had his skin been a little darker or spoke with an accent he would have already been labeled a terrorist by the media. That’s what frightens people. Once again, it was an American, one of our own who was the worst mass shooter in history, thus far. Paddock quietly and without suspicion brought 23 weapons, thousands of rounds of ammunition and magazines into room 135 on the 32nd floor of the Mandalay Bay Hotel in Las Vegas. Almost immediately after the worst mass shooting in United States history the mainstream media wasted no time asking how could anyone get that many guns and ammo into a high-rise tower of a Las Vegas hotel. The answer was a simple one. He brought them in himself or a hotel bellman brought his bags up to his room on a bell cart or he did it during the course of four days. You can walk right thru the front doors of any hotel or casino in Las Vegas with concealed firearms either on your person or in your luggage with impunity, despite what has been going on since 9/11, the Mumbai terrorist attacks in India in 2008, and multiple mass shootings in this country and overseas. 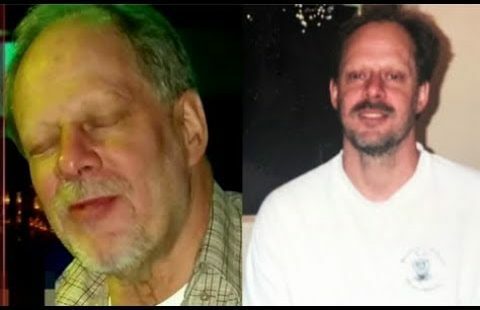 The hotel industry here in Las Vegas did not implement any preventive measures that could have possibly stopped Paddock’s luggage of death from ever getting into his room. It was foreseeable and it was preventable. Security and the hospitality industry don’t mix. Guests don’t want to be hassled is the answer many experts have been saying since the attack. Guests don’t want to go through what they do at airports they say. Since the U.S. Department of Homeland Security, Transportation Security Administration was formed, there hasn’t been one terrorist act involving any U.S. air carrier leaving an American airport. Regardless of what you may think about the TSA, in effect they have had a 100 percent success rate in preventing a terrorist incident and or an improvised explosive device from getting on any aircraft leaving an American airport. I don’t believe there is any other federal agency that can boast such a record. So far 58 people died and more than 500 were wounded because Paddock knew that he would not be stopped from concealing a small arsenal in his luggage. Something so simple as an explosive detection K-9 walking past Paddock as his luggage was being brought up to his room, could have hit on any explosive residue and alerted the handler. There were no security measures in place even though since 9/11 Homeland Security officials had warned that attacks may occur on Las Vegas properties. This was done through DHS bulletins that were sent out to security directors and also through free training courses and seminars conducted by the DHS in Las Vegas. Small arms attacks, suicide bombers and improvised explosive devices have been occurring for years worldwide. Because they haven’t occurred here the hotel industry just crossed their fingers and hoped for the best. Their luck ran out on Oct. 1 in Las Vegas. ISIS has taken credit for Paddock’s actions twice, despite law enforcement’s assertion that they have so far uncovered no links to terrorism or any other group. That is immaterial at this point. The entire world has been shown how easy it was for one man to bring Las Vegas to its knees, as the mayor said. So now every nut case, lone wolf shooter or terrorist group is out there thinking how vulnerable Las Vegas is. What permanent measures if any, will be implemented here in Las Vegas remains to be seen. Luggage screening for explosives and weapons no doubt would have prevented the terrible massacre that happened here. We seem to learn the hard way in this country before we react. If one gunman can set up an arsenal in a high-rise tower in Las Vegas, what would happen if there were multiple shooters at multiple properties simultaneously firing down into the street. What happens when that day comes when a group of terrorists enters multiple properties conducting small arms attacks? Will hotel security forces be ready to suppress the attackers prior to the police arriving, or will it be another massacre that the casino owners will say could not have been prevented as they said after the massacre two weeks ago? Now is the time to immediately implement proper security measures to protect this city from a future attack. We did it at the airports, we can do it at the hotels. It’s not like there is no money to do something. The Nevada Gaming Control Board reported for last fiscal year resorts generated an income of almost $979 million from total revenues of 25.2 billion. To do nothing is not an option. There simply is no other choice. We need to act now.